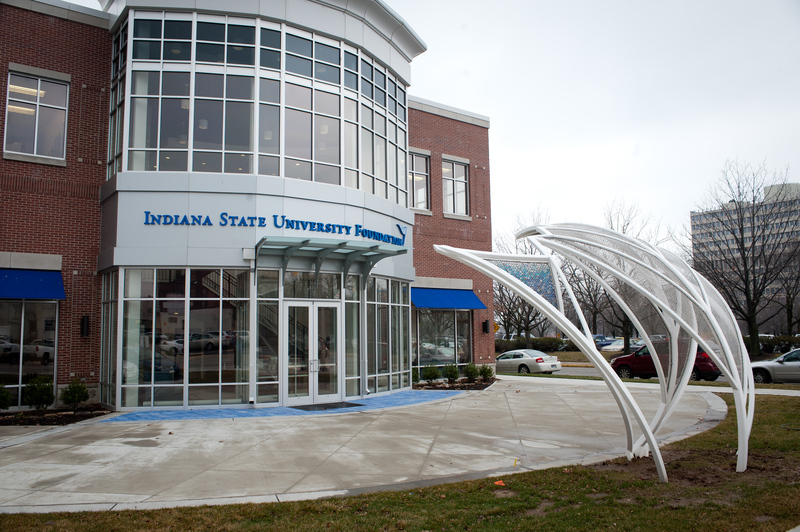 In conjunction with the launch of a new strategic plan for 2016 through 2021, the Indiana State University Board of Trustees and the Indiana State University Foundation are planning a restructuring of the ISU Foundation, which will allow the foundation to retain its 501(c)(3) status while more closely aligning it with the university, officials announced today. The foundation board and the board of trustees approved moving forward with the restructuring during their meetings today (Sept. 30, 2016). "For the past 10 years, the foundation has operated as a completely separate entity, which has added a lot of operational complexity to the foundation's plate and diluted the time, energy and resources which could be utilized to build private support for the university," said David Campbell, chair of the board of trustees. "This move will provide a stronger focus on fundraising while streamlining operations and cutting overall operational costs. Both of these are a significant part of our strategic goal of improving cost-effectiveness, while expanding revenues and maintaining affordability." Under the new structure, Ron Carpenter, the current president of the Indiana State University Foundation, will become the vice president for university development for State, which includes responsibilities as CEO of the foundation. In the reconfigured position, he will report to President Dan Bradley and will oversee fundraising, the receipting and acknowledgement of donations, the maintenance of alumni and donor records, and the financial recordkeeping of the foundation. The foundation will remain a separate 501(c)(3), or institutionally related foundation, for the purpose of identifying and building relationships with prospective donors, soliciting and receiving donations for the benefit of Indiana State, acknowledging and stewarding those gifts, and managing the foundation's assets. A new memorandum of understanding, which defines the relationship between the university and foundation, was approved by both boards today. All employees of the foundation will become university employees. Current foundation employees who perform human resources, alumni affairs, communications and marketing and special event responsibilities will be moved to university offices/divisions engaged in similar functions including the Office of Human Resources, the Division of University Engagement, the Office of Communications and Marketing and the Office of the President and the Provost. The remaining employees will become part of the new University Division of Development. "The foundation board is fully supportive of this change and the renewed emphasis on fundraising that it provides. We look forward to working with Ron and the development team to increase private fundraising in support of the University. I believe this is an exciting opportunity to move forward in a manner that will greatly benefit our students and our University," said Bart Colwell, chair of the foundation board of directors. Colwell noted that the foundation board will continue to provide oversight and guidance to the fundraising staff and assist with the cultivation and stewardship of private donations. The foundation became a more separate entity in 2006 as it prepared for its first comprehensive fundraising campaign. At that time, the position of president of the foundation that was separate and distinct from the university was created. Prior to 2006, the president of the university had served as the president of the foundation. A vice president of the university served as executive vice president of the foundation. The latter position was folded into the new president of the foundation role. In 2010, the foundation board and the board of trustees took several steps to strengthen the relationship between the university and foundation. That was an attempt to provide better communication, coordination and alignment of goals between the two entities. "Those steps helped with the communication. However, in review, we have come to the conclusion that we will better served by maintaining a separate 501(c)(3), while having the CEO also serve as a vice president of the university. Other universities who have completely separate foundations tend to be much larger with more mature fundraising operations than what we have at ISU," Campbell said. Carpenter said he looks forward to serving in his new role. "This is an opportunity to bring much sharper focus on our goals and allows our entire development team to concentrate on raising private dollars for the university," he said. No individuals lost their jobs as part of the restructuring, although it is possible some jobs may be eliminated through attrition as jobs turn over, Campbell noted. In moving the foundation employees to the university, some titles and salaries will be adjusted to fit into the university's compensation structure; however, no reductions in salary are planned. All impacted employees were notified of the proposed changes pending the outcome of today's meetings. Campbell said the move was an important step in preparing for the new strategic plan. "Indiana State has had great success in advancing the goals of ‘The Pathway to Success' strategic plan. The board of trustees and the foundation board of directors want the university and the foundation to be well-positioned to capitalize on the amazing success we have experienced under President Dan Bradley's leadership as we begin implementing the new strategic plan, which was launched earlier this month," Campbell said. • Approved a resolution to have 13 lots of surplus property appraised for possible future sale. • Approved a music industry studies minor, effective fall 2017. • Accepted the conflict-of-interest disclosure statements as submitted by the board of trustees, university president and vice presidents. • Approved revisions to Policy 660.1 regarding fundraising from private sources to reflect current practices. Under the changes, all employees of the foundation will become university employees.